What’s it Mean When Hot and Cold Things Make My Teeth Hurt? Perhaps it’s ice cream or a breath of crisp air, or maybe it’s a cup of hot tea or a cozy bowl of soup. No matter what it is, hot and cold tooth sensitivity is a common ailment experienced by many people. At my dental office in Long Grove, we’d like to answer some of the questions we get asked regarding tooth sensitivity to both hot and cold foods and drinks. Your dentist in Long Grove will determine the most appropriate option for you following an in depth discussion about your pain, your habits, and the treatments available. 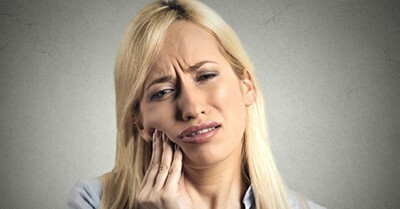 If you’re still experiencing sensitivity related pain, come to my Long Grove dental office. We’ll discuss what could be contributing to it and work with you to provide the best way to ease it. Welcoming patients from Long Grove, Buffalo Grove, Lake Zurich, and nearby communities.